Titan Trade Close Account – How to Close Your Account? There are a lot of reasons why traders switch to binary options trading. Some find it amusing that they trade for fun, while others take it seriously and aim to earn substantial profits. Binary options trading can be extremely rewarding and exciting at the same time. However, despite all these positive kickbacks, there are also some risks involved when trading binary options. This is the reason why some traders resort to using the Titan Trade close account option. Although we impose a low-risk, high return policy for trading, some traders think that it’s best to put an end to their trading career. Some investors choose to close their trading accounts simply because they have already raised enough profits, while others felt they haven’t been performing well on their trades. Whatever your reason is, closing your trading account would involve standard operating procedures in order for us to process your request. We at Titan Trade offer a seamless process of closing your account through our Titan Trade close account procedures. Just when the time comes that you’ve finally decided to deactivate your account, simply contact our friendly and highly-skilled customer support team. You can place your account closure request via phone or e-mail, and wait for further instructions. Before you make your Titan Trade close account request, make sure that you no longer have live contracts on your account. 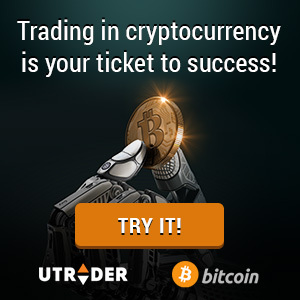 This way, you can ensure that you’re not going to lose anything in case your trades finish in-the-money. Another important thing that you must remember is to check if you still have remaining credits in your account. Withdraw your balance first before you submit your request so that you will have your investments back. Once you’ve terminated your account, you may face difficulty in withdrawing your earnings and reaching our support services. Since we value your satisfaction, we always make sure that all our Titan Trade trading services meet your expectations. Should you find our services unsatisfactory, send us your feedback via e-mail or phone. Rest assured that we will act immediately to resolve your inquiries or concerns.